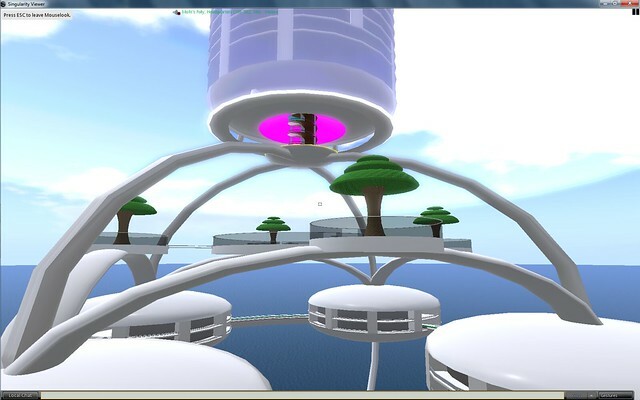 That's right, gridlings, an abandoned Haxor Outpost has been discovered on Misfit's Folly. "I don't know how we missed it all this time", wonders one wandering wanderer "its almost as if it was suddenly plopped down there over night." 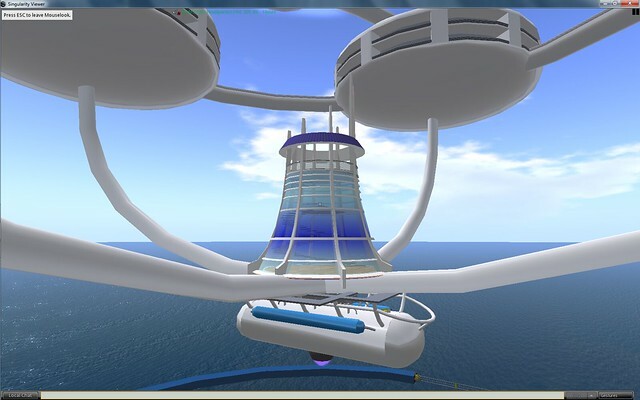 the modular design of the structure is clearly in keeping with Haxor Corporation designs. Sarge Misfit, commander of Misfit's Folly has stated that he will claim the outpost under Interstellar Salvage Law, along with the espresso machine. After his announcement, and as he was walking back to his personal starship, Misfit was heard muttering "I told you I'd put it next the still, Ener"
I originally included the attribution in the comments, but that didn't seem to be good enough for me. 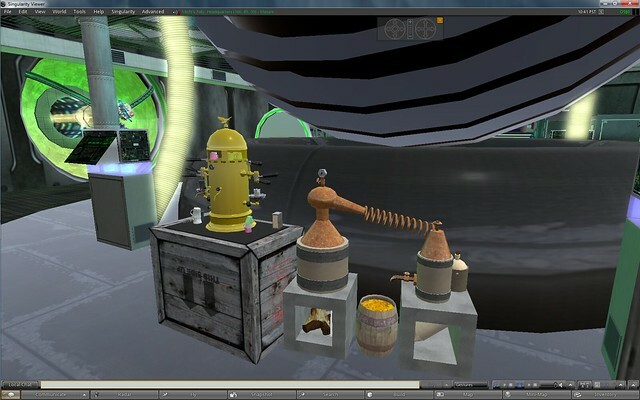 The original Haxor Outpost (I've modded it for Misfit's Folly), the espresso machine and the flying saucer are creations by Ener Hax and may be found at ener hax opensim freebies. 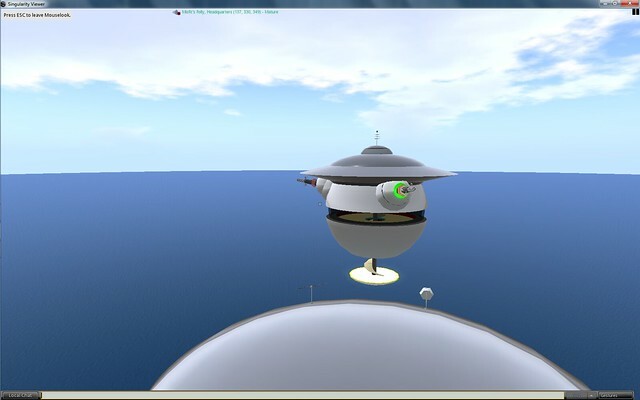 The original Haxor Outpost (I've modded it for Misfit's Folly), the espresso machine and the flying saucer are creations by Ener Hax and may be found at ener hax opensim freebies.